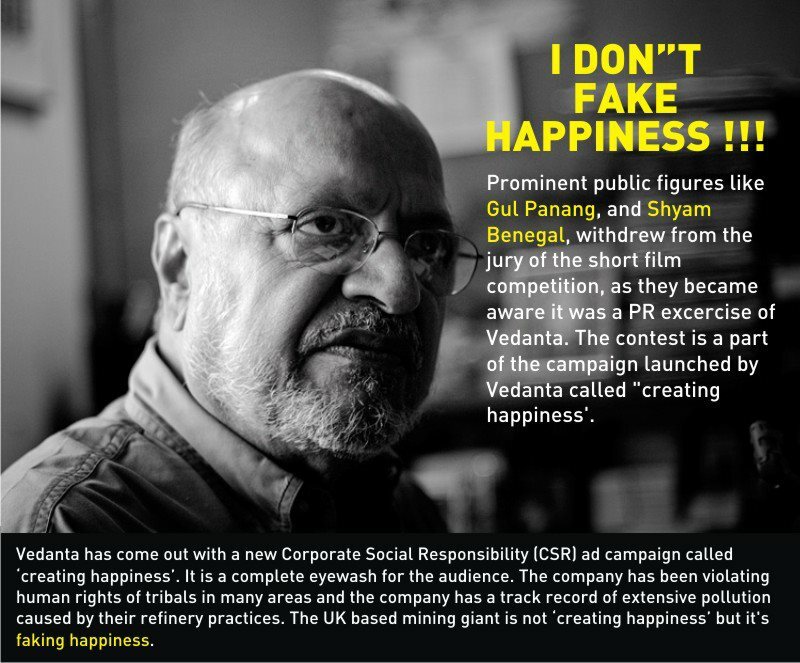 Rizvi has submitted many print ads Faking Happiness on Vedanta. Would be easier for the viewers here to identify if a short title was given to each of these ads here, and the other entries. 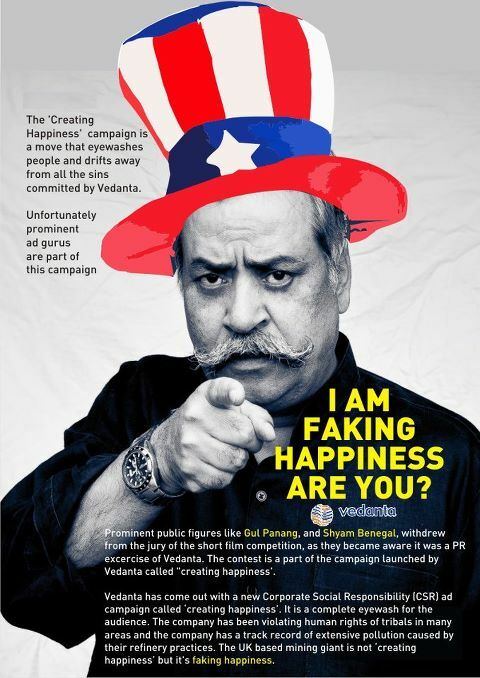 My fav from here: the Piyush Pandey-Faking Happiness ad. 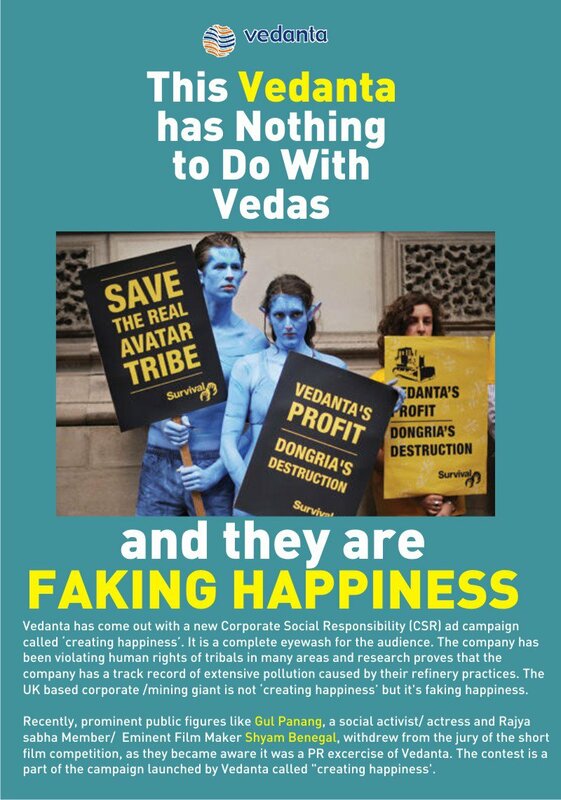 Cannot easily view the last ad…. all !! 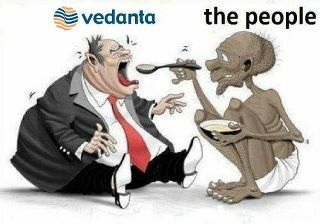 but most, the people “faking happiness” !!! 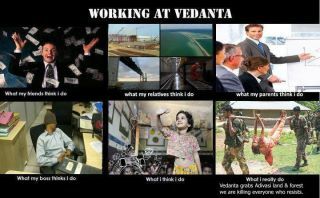 are vedanta sharing hunger and deaths too? ?